Usually, actual religious belief doesn't make it onto the Reason website. 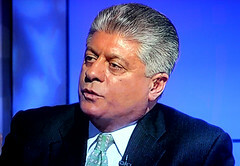 But Andrew Napolitano smashes through that barrier with "This Easter, Celebrate Freedom"
It's Reason, so fans of meaninglessness crop up in the comments. Speaking of hope, the Red Sox season starts tomorrow in the Bronx. I'm hoping Jackie Bradley, Jr. lives up to his preseason performance (.419 batting average, for example). If you have no idea what this is about, this Wired article will explain things. Speaking of hope—we apparently have a theme today—I hope I'm still as mobile as William Shatner when I'm 82.